Lamont Cox has always been seen as a tough guy. As a former gang member with a seemingly hard exterior, he never backed down from a fight and was never one to discuss his feelings. After suffering from multiple strokes and a heart attack, Lamont’s house was foreclosed and he was left with no place to go. He found himself vulnerable, distressed and looking for help. That’s when he came to Joseph’s Home. Lamont has been attending the new wellness and art therapy programs offered by Joseph’s Home in partnership with Ursuline College. This past fall, Executive Director Christine Horne attended an event hosted by Catholic Community Connection. 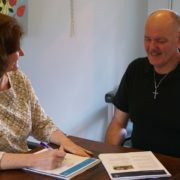 Connecting catholic education and social services is one of Catholic Community Connection’s core objectives, so they helped connect Christine with Ursuline College at the event. 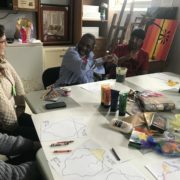 Ursuline College President Sister Christine DeVinne, OSU then recommended that Instructor and Clinical Director Melissa Hladek reach out to Joseph’s Home in hopes of bringing wellness and art therapy programming to the acutely ill homeless men of Joseph’s Home. Accompanied by students of the Ursuline College Counseling and Art Therapy program, Melissa leads the residents in creative activities that are meant to encourage thoughtfulness and meditation, reflection on past experiences, healthy coping, and the creation of goals and aspirations as they relate to mental health. This focus on listening and sharing has given some residents the freedom to open up and discuss the challenges and barriers they have faced. These days, Lamont can be seen participating in yoga, meditation and art projects that provide relaxation and reduce anxiety. “You all have showed me something I have never seen before. When I was growing up, all I saw was drugs and guns. I never had time for this. But now, I’ve got time,” said Lamont. Lamont has been at Joseph’s Home for just over a month and has enjoyed attending the wellness and art therapy programs because they have allowed him to be creative and regain a sense of dignity. “I feel like I’ve been healed by art because it makes me feel good,” he added. Melissa said she hopes that Joseph’s Home residents can tap into a side of themselves that is very rarely explored. Whether it be sharing about a traumatic event from the past, meditating to relieve the stress of homelessness and illness, or expressing their emotions through an art project, men like Lamont are experiencing healing that goes beyond medicine. The wellness and art therapy programs are providing homeless men who have lived chaotic and, in some cases, traumatic lives a coping mechanism and a sense of worth they’ve never felt before. “It’s beautiful because it brings out the good in a person,” said Lamont. The article above appears in the spring 2018 issue of the Joseph’s Journey newsletter. I’ve healed, I’m looking for housing, now I need to get back to work. This is the challenge that many residents of Joseph’s Home face. Perhaps they have a negative work history or have no skills training. Maybe they just don’t have the suit they need to wear to an interview. That’s why Joseph’s Home has teamed up with El Barrio Centers for Workforce Development (El Barrio) to help residents conquer those barriers and more. El Barrio has forged a path for residents who are willing and able to work to access the training and networking they need to secure employment. El Barrio provides an onsite workforce development program that allows residents to train and receive certifications in four or more weeks in one of several tracks: customer service, hospitality, construction, transportation, pharmacy and teacher assistance. El Barrio then provides case management to prepare candidates to enter the workforce ready and motivated. Once a client has graduated from the program, El Barrio matches candidates to companies looking for diversity in their organization. Joseph’s Home’s own healthcare navigator, John Mytrysak, is a perfect example of how El Barrio training has made a big difference for residents. John fell ill in 2014. Due to his illness, his kidney function was slowly declining and his cognitive abilities were suffering as a result. The first big sign came when he lost his job due to a decline in his performance. Eight months later he was out of money. He sold his home and lived out of his car. Less than two years after he lost his job, he had also lost his car, was drowning in debt and was living in a homeless shelter. He was then referred to Joseph’s Home. Within two months, he was receiving the medical care he needed and he was participating in the El Barrio workforce development program in the customer service training track. After working with El Barrio staff who helped him review his resume, learn professional skills for his chosen field, attend a job fair and receive a National Retail Federation (NRF) certification, he got a job in retail. He then had the income to get and keep an apartment. Flash forward to today. John is now the healthcare navigator at Joseph’s Home and is living the dream—an independent and successful life—all thanks to teamwork. 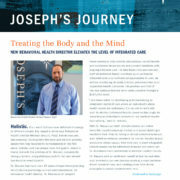 The article above appears in the spring 2018 issue of the Joseph’s Journey newsletter. Pictured above are Joseph’s Home Executive Director Christine Horne and John Mytrysak. 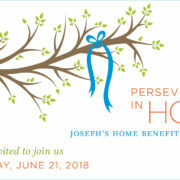 Perseverance in Hope: The Annual Joseph’s Home Benefit Luncheon is Thursday, June 21, at 11:30 a.m. at Windows on the River in Cleveland. The luncheon celebrates the remarkable healing and achievements of the acutely ill homeless men who have stabilized their health and transformed their lives at Joseph’s Home. In addition to lunch, there will be door prizes, a raffle and silent auction. 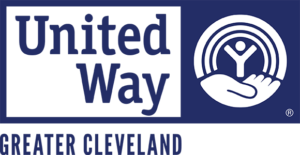 Dan Moulthrop, CEO of The City Club of Cleveland, will serve as emcee and will be accompanied by keynote speaker Judge Michael J. Ryan, a judge on the Cuyahoga County Court of Common Pleas Juvenile Division. Funds raised at the luncheon provide meals, shelter and other care for the residents of Joseph’s Home. Individual tickets are $50 per person. Sponsorships are available beginning at $500 and include at least one table for up to 10 guests. Visit the event website for more information and to reserve your place today. Judge Ryan successfully ran for judge in 2005, becoming the youngest African-American male to be elected in the Cleveland Municipal Court’s history. In 2012, he was elected judge to the Cuyahoga County Court of Common Pleas Juvenile Division. Ryan grew up in poverty in Cleveland’s Longwood Estate projects. With his biological father in prison, he was under the care of his mother, who had him when she was 14, and his stepfather, who were both addicted to heroin. In addition to working with youth as a judge, Ryan does extensive volunteer work with area youth, both directly and through helping organizations creating opportunities for youth and adults, such as serving on the board of the Sisters of Charity Foundation of Cleveland and on the Literacy Cooperative of Greater Cleveland. In 2015, Ryan self-published a memoir, “The Least Likely: From the Housing Projects to the Courthouse,” on how he overcome the odds. 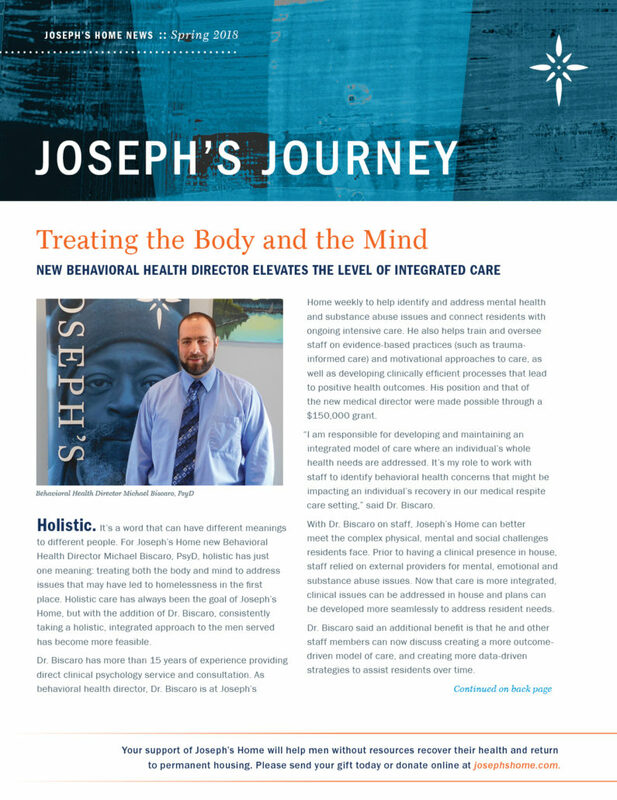 Joseph’s Home, a ministry of the Sisters of Charity Health System, provides a nurturing, caring environment for men without resources who have acute medical needs, helping them heal and achieve independence. 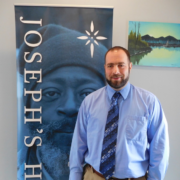 Joseph’s Home is the only Northeast Ohio organization of its kind: offering acutely ill homeless men temporary shelter that provides medical respite to promote healing and long-term self-sufficiency. Sponsorships and tickets are available. Click here for more information and to reserve your place today. Contact Development Manager Madeline Wallace at 216.987.9201 or [email protected] if you or your company have additional questions.